In IT, search, email, finance, social networks are the infrastructure for being connected. When people talk about infrastructure for IT they think of security, availability, scalability, and reliability, as the key capabilities to focus on. Whenever there is a security breach or services go down, teams scramble to remedy the situation. The internet of things is being driven by many of the same technology companies that users are familiar with. Running a Google(s goog) Search for “IoT” the top three paid advertisers are Microsoft, Cisco, and Intel. IoT infrastructure is now at the beginning of a massive build out — sort of like the first building phase of the internet or the interstate highway systems. And this is a topic Iwill discuss with a panel of top infrastructure experts — Tamar Budec, VP of portfolio operations at Digital Realty, Cory von Wallenstein, chief technologist at Dyn, and Peter Bakas, founder of DataScale (who was formerly director of platform engineering and operations at Ooyala) on stage at Structure on June 19. Creating value in the infrastructure of IoT is like the Netflix experience where the history of your complete video watching experience is stored at Netfliz. It keeps track of use, start/stop, favorites, new things you may be interested in – your history and settings. Your devices – TV, streaming device, or mobile come and go – but your Netflix experience continues. Why can’t there be a complete history of the specific IoT device use by a person that allows the replacement, repair, or upgrade so the experience is continuous and gets better with each new IoT devices? Users upgrade their smartphones and expect all their content, contacts, apps to move to the new device. The Infrastructure for IoT should do the same. Some may think this is not what infrastructure should do. But are you planning on being an overhead cost or a service that drives revenue and value to end-users? 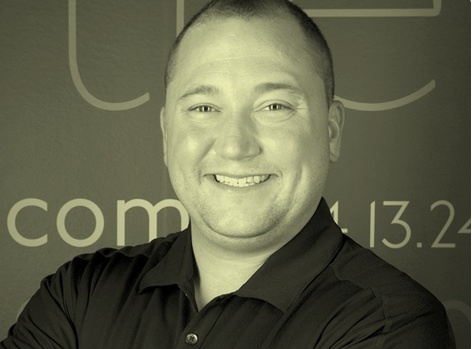 Dave Ohara is a Gigaom Research analyst focusing on data center, big data, software development and related areas. Infrastructure is important, no denying that. But it would be nice to be able to go off the grid every now and then (especially in an ice storm). Then too, what do we do with solar flares?